We still need to put the ornaments up, but think it’s already beginning to make a statement. Hard to believe that the hubby and I have had this tree for over ten years, right? I'm being sarcastic. 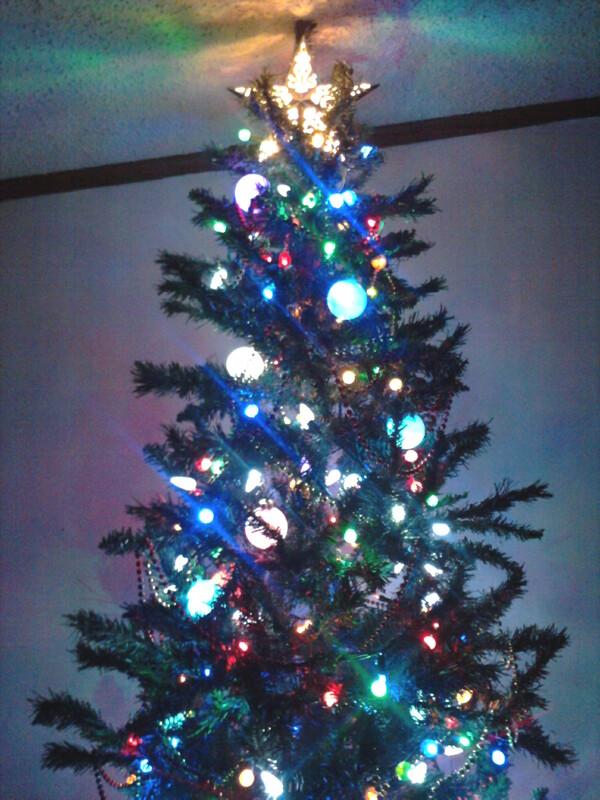 We know our tree makes Charlie Brown's look healthy, but the hubby and I bought it for our first Christmas together. It's tradition! Whoa! We don’t do subtle at yonder Hoffman Haus! ROFL!